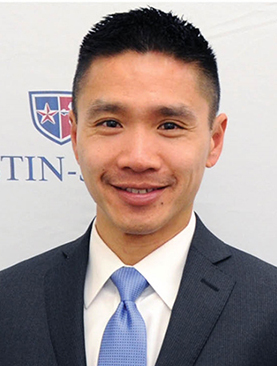 Mr. Herman Shum, Vice-Principal of Saint Mary’s College High School in Berkeley, CA, died on Saturday, December 27, following a cycling accident near Dublin, CA. He was 40 years old. Mr. Shum is survived by his wife, Janelle, and two daughters, Nikki and Monica. The Funeral Mass for Mr. Shum is scheduled for January 10, 2015, at St. Cecilia’s Catholic Church, 2555 17th Avenue, in San Francisco. Visitation will begin at 2:00 p.m., with Mass beginning at 3:00 pm. A reception will follow. Read Saint Mary’s College High School website announcements. Read Justin-Siena High School President’s message. Read story in the Napa Valley Register.